Whether you’ve been diagnosed with high blood pressure or told you’re at risk of developing the condition, you’ve likely been advised to limit your sodium intake. But new research shows that sugar – particularly the kind found in processed foods – is more closely linked to high blood pressure than salt. A recent study by New Zealand’s University of Otago, published in the medical journal Open Heart, revealed that consuming high amounts of sugar increases your chances of getting high blood pressure. Through a number of randomized, controlled trials, researchers looked at sugar’s effect on blood pressure and found that not only does sugar lead to weight gain, it impacts blood pressure, too. During the study, participants were not provided measured amounts of sugar. Instead, they merely reported how much sugar they consumed every hour of every day. What do we know now? Well, drinking a single 24-ounce soft drink has been proven to cause an average increase in blood pressure of 15/9 mm Hg and heart rate of 9 bpm. Higher sugar intake significantly increases systolic (6.9 mm Hg) and diastolic blood pressure (5.6 mm Hg) in trials over eight weeks or more. This effect increases to 7.6/6.1 mm Hg whenever studies that received direct funding from the sugar industry were excluded. In other words, those who consumed 25 percent or more calories from added sugar had an almost threefold increased risk of death because of high blood pressure and heart disease, according to the New Zealand researchers. 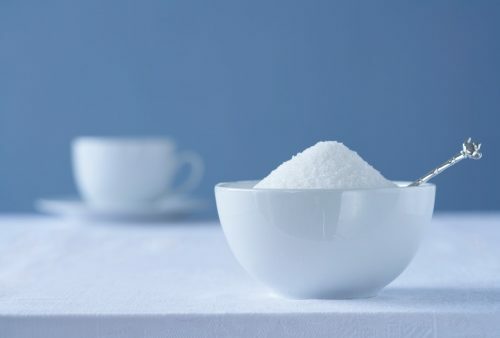 So even smaller doses of added sugar over short periods of time can harm you! High blood pressure is the leading cause of death in the U.S., according to the American Heart Association (AHA). Now why is that exactly? Well, high blood pressure is the main cause of heart disease, which is the number one cause of premature death in the developed world. In 2009 alone, high blood pressure was either the primary or contributing factor in more than 348,000 deaths in the country, which cost the health care system more than $50 billion that year. If you’re concerned about your blood pressure, or simply want to eat better for overall health, here are some tips to help you cut your sugar intake all the while lowering your blood pressure as well. Check labels for fructose corn syrup, which can be found in products like ketchup and soft drinks. Use natural sweeteners such as natural juice from fruit, or swap for dates or coconut shreds in your recipes. Use other spices like cloves or nutmeg to help sweeten food up as well. Eat smaller meals throughout the day rather than a few large meals. This can prevent you from overdoing it on a sugary snack later on. Limit your alcohol intake as alcohol has high levels of sugar. Meanwhile, the intake of added sugars is roughly two to eight times higher than the AHA and World Health Organization recommend. Among adolescents, sugar consumption may be six to 16 times higher. That’s because processed foods happen to contain various kinds of sugars, along with simple starches that create sugar during the digestion process. In fact, sucrose is a common ingredient in industrially-processed foods, although it’s not as common as high-fructose corn syrup (HFCS). Whereas sucrose is equal parts fructose and glucose, HFCS still has more fructose – about 55 percent – than glucose. It’s the most frequently used sweetener in processed items like sodas and fruit drinks. Of course, it’s easy to underestimate how much sugar you eat day-to-day. So remember, the simplest way to lower your blood pressure is to get in shape and eat whole foods instead of the sugary, packaged kind.